This 1938 Cape at 8 Liberty St. is the newest house on the street, built in 1938 on the stone foundation of an earlier house owned by J. Russell, according to the 1910 Ipswich map. Concrete walls were poured around that foundation, expanding it to a width of 30″ – 36″. A coal-fired boiler dated 1913 which was in the former house was until recently still in the basement. 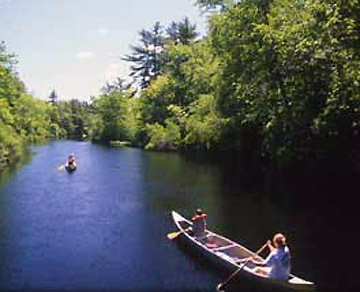 The timber-frame barn shown in the picture may date to the 1700’s. 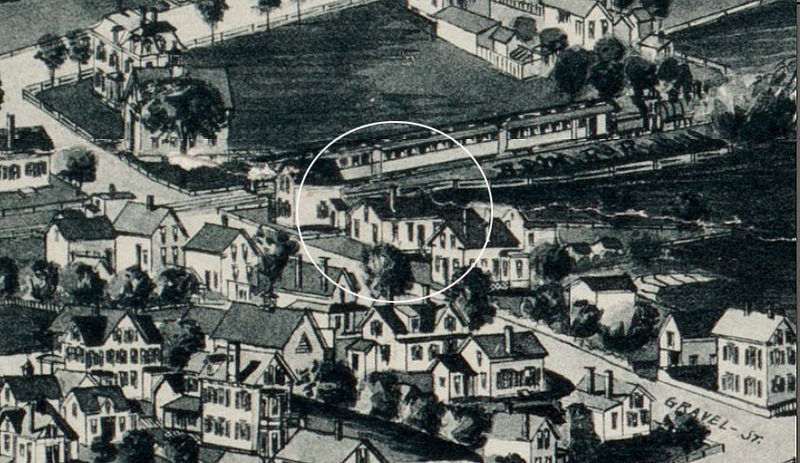 The house at 8 Liberty is circled in this screenshot of the 1893 Ipswich Birdseye map. The layout and orientation to the street are similar to the existing house. The drawing indicates the barn behind the house has been moved slightly to its current position. The date and style of the newer house with its gable end chimney, steeper roof, dormers and symmetrical lines identifies it as a Colonial Revival Cape, a popular and affordable home style in the 1930’s and 40’s which borrowed its styling from small New England homes of the 17th Century. Use of an arched roof over the portico was an affordable alternative to a gabled entry. 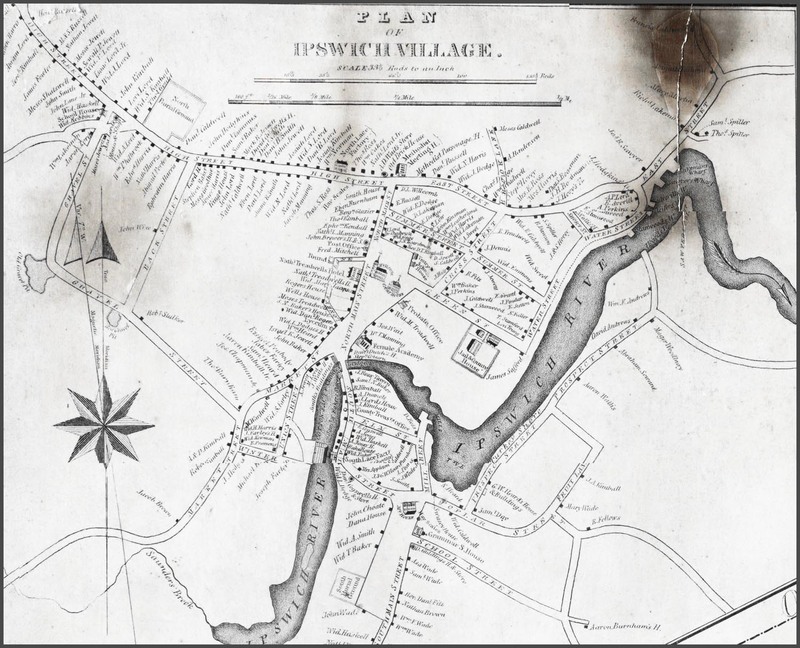 Liberty Street was accepted by the town in 1900, but in an 1832 map of Ipswich it is the upper section of Gravel Street. What is now called Washington Street turned east at an old gravel pit and crossed the upper end of Farley’s Brook, with just two or three houses at the end near Lords Square. Tracks for the Eastern Railroad were laid down four years later in 1836, and by 1900 the street was lined with new Victorian era homes.